We have built up a close relationship with Reebok over the years particularly within the collaboration arm of their business. 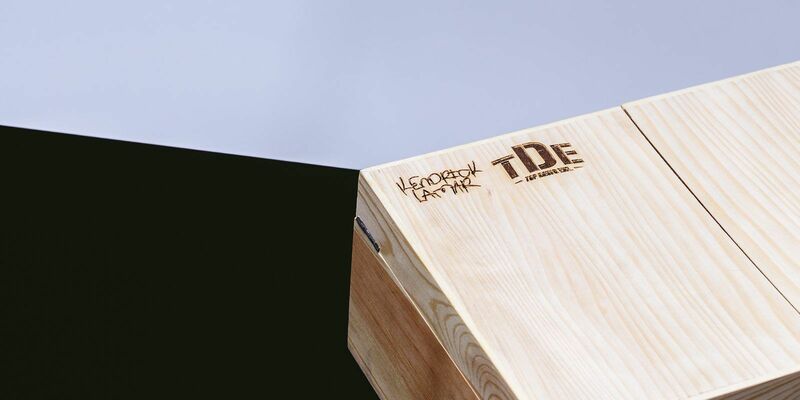 We have produced several bespoke limited edition boxes for Reebok x Kendrick Lamar, in numerous materials from perspex to rigid board covered with suede paper. Reebok come back to us because we can produce limited runs to large scale projects to tight deadlines. 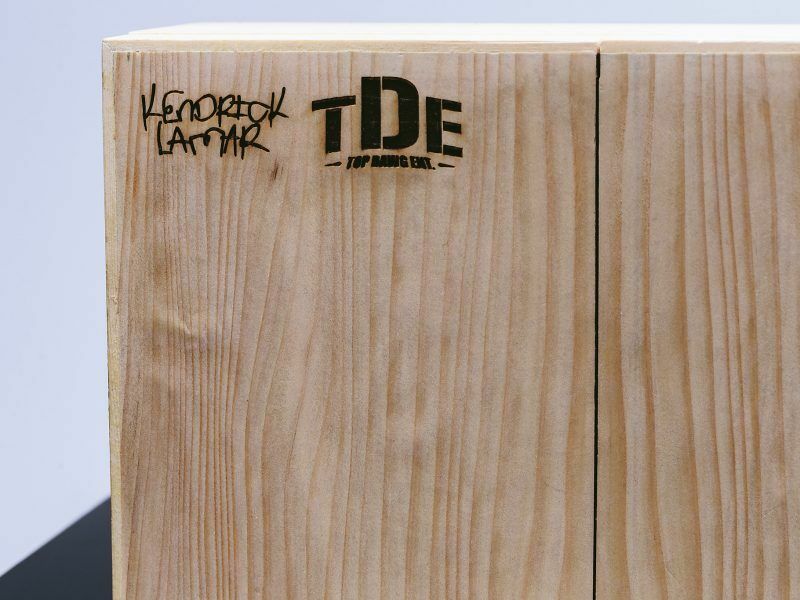 For one of the Kendrick Lamar Footwear releases we were commissioned to create a bespoke box which stood out from any other collaboration project. 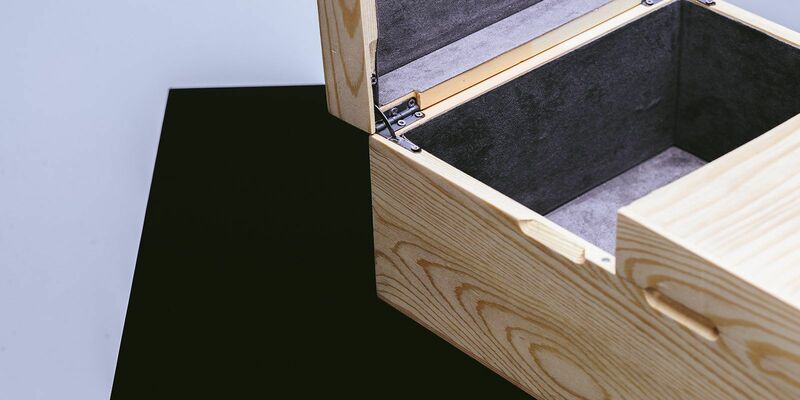 We decided for this project that, given its light texture and the style of the sneaker, raw pine wood would fit well with the project brief. 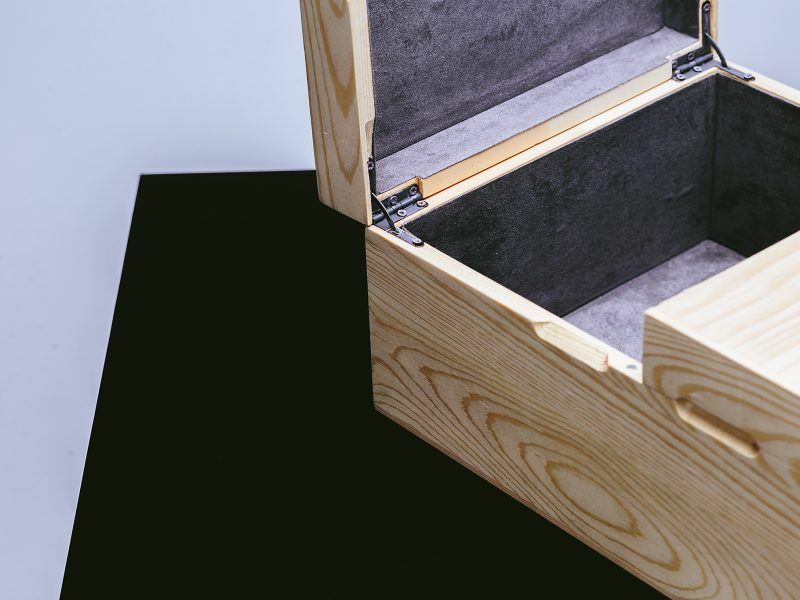 A light sneaker with vertical stitching translated well to a light wooden box with an interior grey suede lining for added luxury with matching grey hinges to sync colour tones. Reebok stipulated that the depth of the lid must be standard footwear box depth but also must open in the middle and be fixed. Working closely with technicians at the factory we created two separate fixed hinged lids that would meet in the middle creating the desired effect for the brand. Magnets were bored into the top end panels of the wood and lower base section of the lid, to marry and fix the lid and base into position securing the product for transit. Finally the logo was hot stamped on to the surface creating the debossed burnt effect which enhanced the logos for media presentation as well as social media platforms. As the product had to be air freighted to America, the packing process was carefully managed at source with protective packaging.